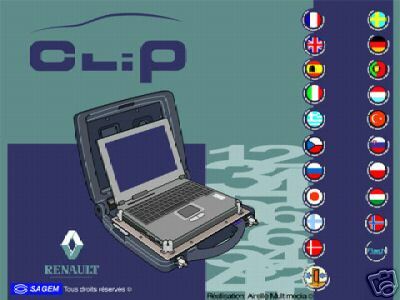 In 2004, Renault brought out a simplified version of Valise Clip called easyClip. It is used to configure a car's electronic components and to carry out a series of preliminary checks, such as adjusting the xenon headlamps or changing the language of the on-board computers. To round out this set of tools, Renault has developed the Remote Clip, which allows technicians in the Renault Assistance network to operate the Clip computer from a distance. Available in 11 European countries, this system makes it easier for the garage mechanic and Renault technicians to work together.